New Jersey police departments along with the Division of Highway Traffic Safety are working together this Superbowl Sunday to stop drunk drivers that may be on the road. In fact, the Division of Highway Traffic Safety is even paying for several police departments to fund overtime hours for officers. Not only that, many police departments throughout the state will be working “saturation patrols.” These saturation patrols will place a lot of officers in a particular location in an effort to stop individuals from taking part in criminal activity, such as driving under the influence of alcohol. Due to the fact that Superbowl Sunday often includes a high rate of alcohol consumption, police departments will be setting up DUI checkpoints. In an effort to stop people from driving under the influence of alcohol on Superbowl Sunday, the National Highway Traffic Safety Administration encourages people to use their SaferRide app that will help you find a taxi to get home safely. It is important to be safe this Superbowl Sunday and be aware that law enforcement will be out looking for anyone who may be driving under the influence. 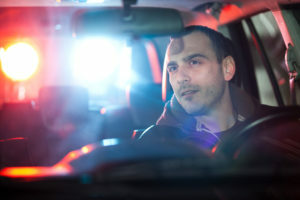 DUI penalties in New Jersey are very severe. Those charged with a DUI should contact an experienced attorney.